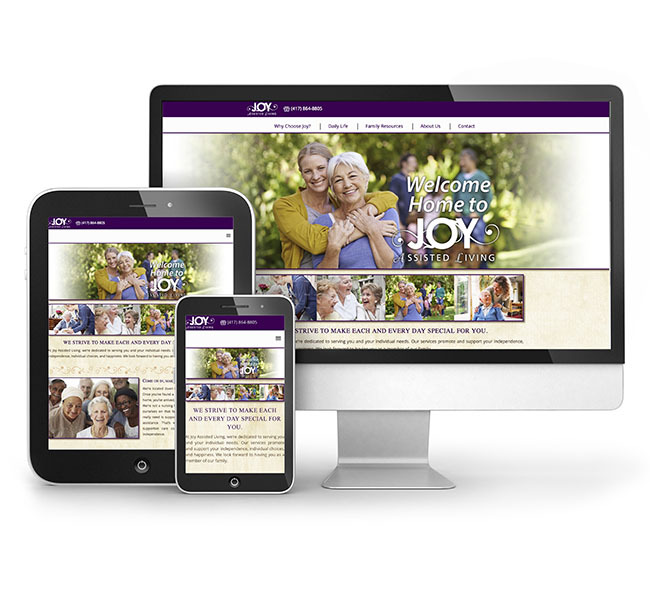 Red Crow Marketing is pleased to announce the launch of the 2017 Joy Assisted Living website. This redesign offers updated information, testimonials, brochures, menus and more. In addition, the new site has added an online appointment scheduler for inquiries and tours. The new website features a comprehensive look at the facility, including amenities, activities, rates and services, and medical care. An Assisted Living Questionnaire provides guidelines and questions to ask when researching assisted-living facilities. This information is vital for families to address as they begin their senior care journey. Visit www.joyassistedliving.com today to check out the redesign and learn more about Joy Assisted Living. Joy Assisted Living specializes in personalized, compassionate care for seniors in southwest Missouri. A family-owned facility, Joy opened its doors in 1995 to provide assistance for families who need supportive care. Visit www.joyassistedliving.com to learn more. Red Crow Marketing was hatched in 2004 to assist managers, entrepreneurs and CEOs with their marketing and advertising needs. A boutique advertising agency, they provide exceptional, one-on-one service to their clients. Visit www.redcrowmarketing.com to find out how they can work for you.